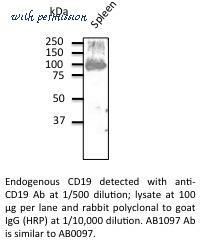 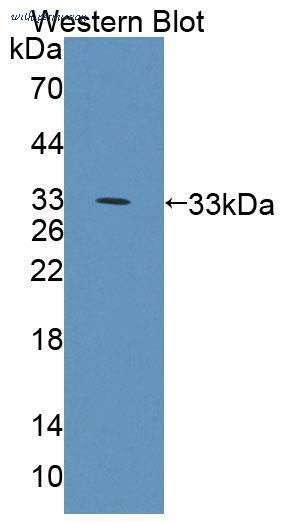 Western blot of CD19 antibody. 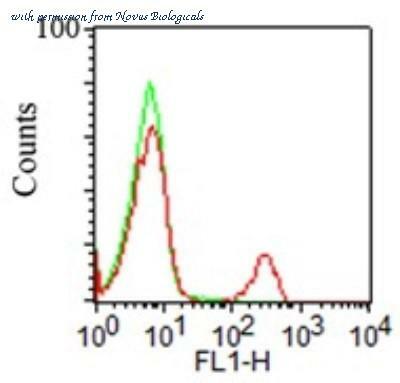 Cell Surface Flow Cytometry of Rat anti-MOUSE CD19 antibody Phycoerythrin conjugated. 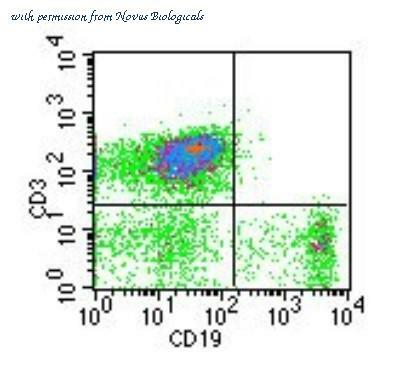 Cells: BALB/c mouse splenocytes. 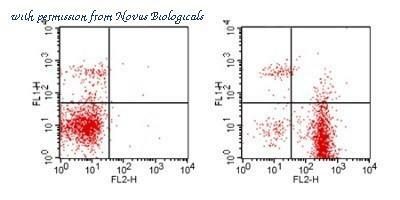 Stimulation: none. 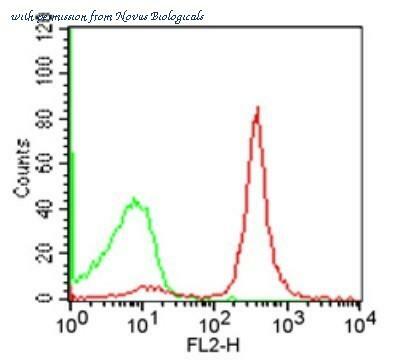 Antibody: (left) isotype control antibody; (right) Phycoerythrin Anti-CD19 rat secondary antibody using 1 µg. 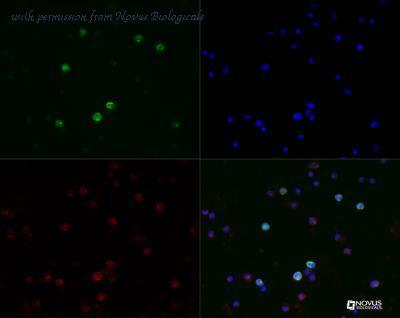 Also stained with Anti-CD4 Fluorescein Conjugated Antibody. 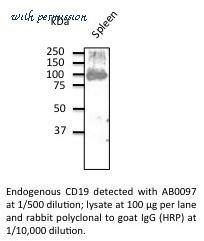 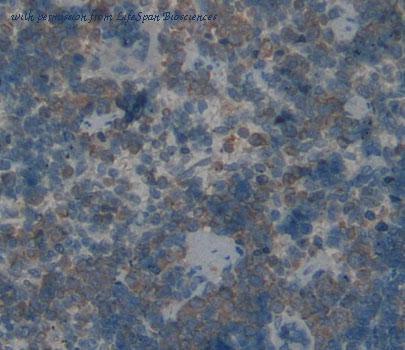 Cell Surface Flow Cytometry of Rat anti-MOUSE CD19 antibody Allophycocyanin conjugated. 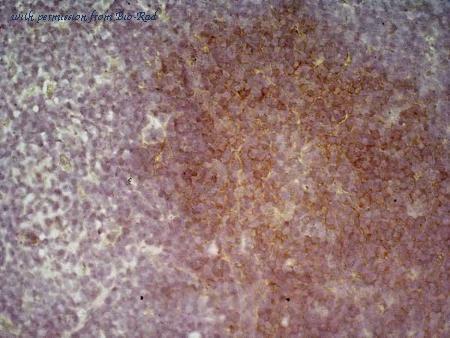 Cells: BALB/c mouse splenocytes. 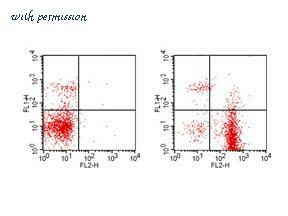 Stimulation: none. 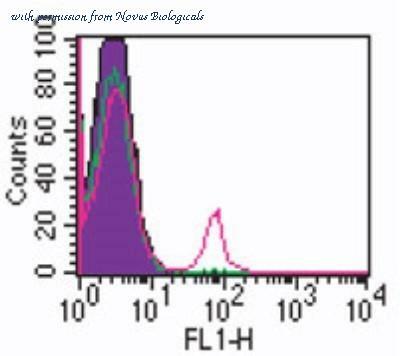 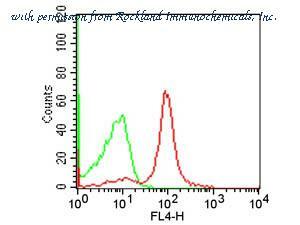 Antibody: (GREEN) isotype control antibody; (RED) Allophycocyanin Anti-CD19 rat secondary antibody using 1 µg.